Tabor Home housed, fed and shaped thousands of children’s lives in Southeastern Pennsylvania for nearly a century. This anthology contains the memories and recollections of 50 of those residents spread over six decades. 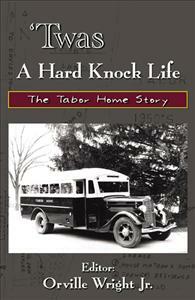 Tabor Home For Children was founded a century ago in Philadelphia but moved to Doylestown, PA in 1913. This remarkable anthology captures the memories and recollections of 50 of those residents spread over six decades. The experience of being raised in a children’s home with 40 boys and 40 girls will enlighten, sadden, amuse and surprise most readers. The individual stories are told in a forthright style expressing remorse, gratitude, anger, joy, spirituality and excitement. The book is uplifting and depressing, adventurous and predictable, happy and sad, just like life itself.